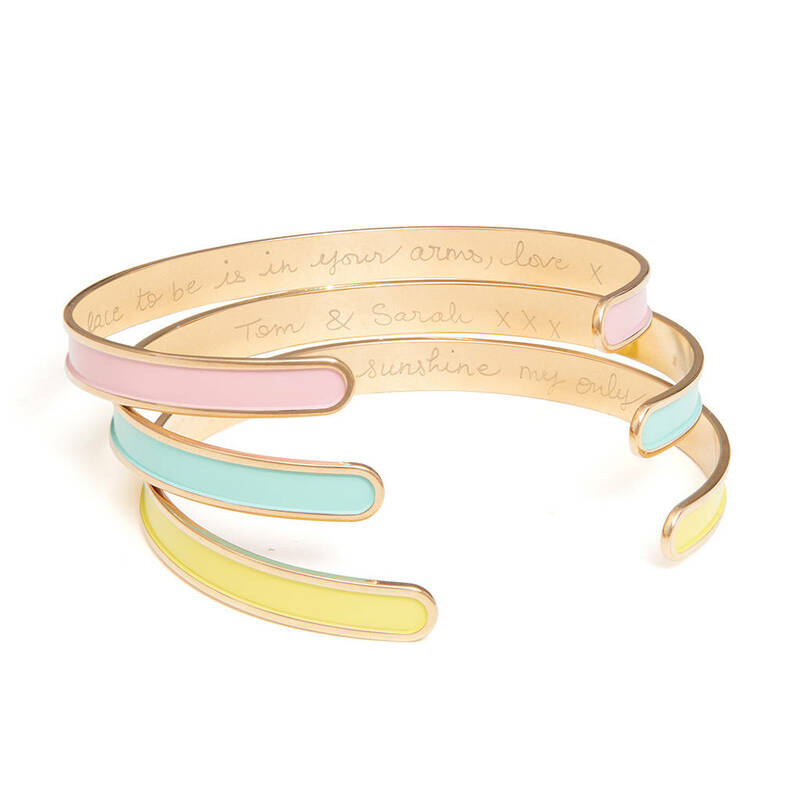 Our Personalised Enamel Open Bangle is as unique as you are. 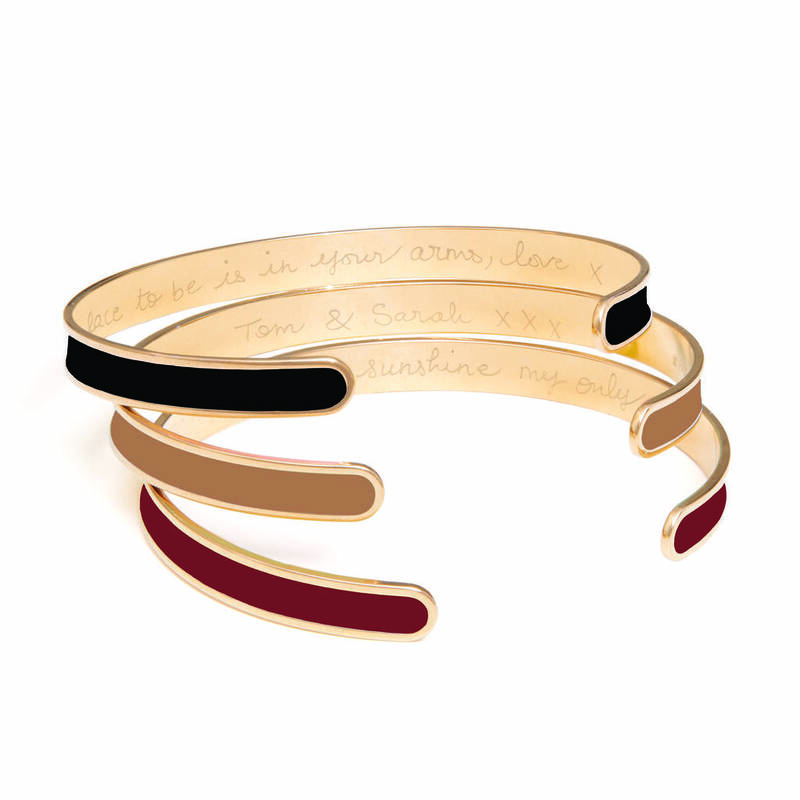 A high-quality 925 Sterling Silver or 18K Gold Plated bangle coloured with enamel. 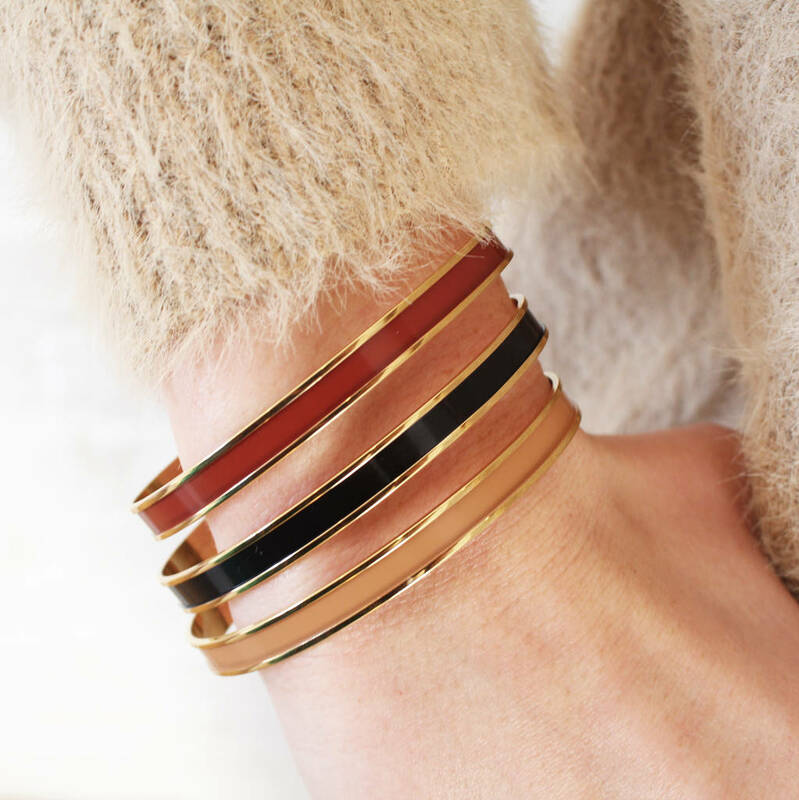 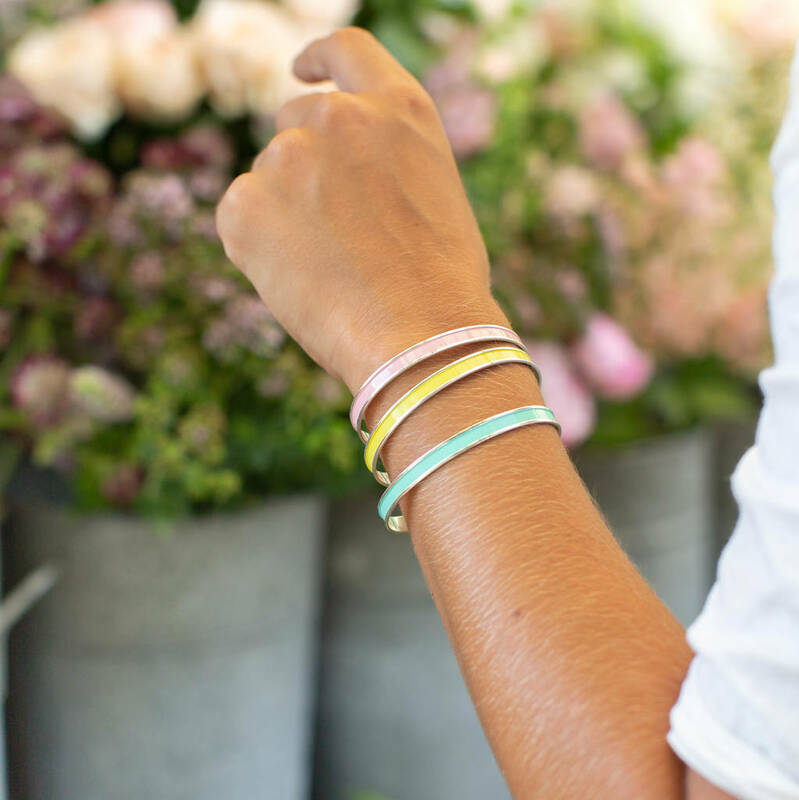 Choose between three fresh and bright summer colours (Pink, Aqua or Yellow) or three warm winter tones (Black, Tan or Rust) or buy one of each and stack them high for ultimate summer style. 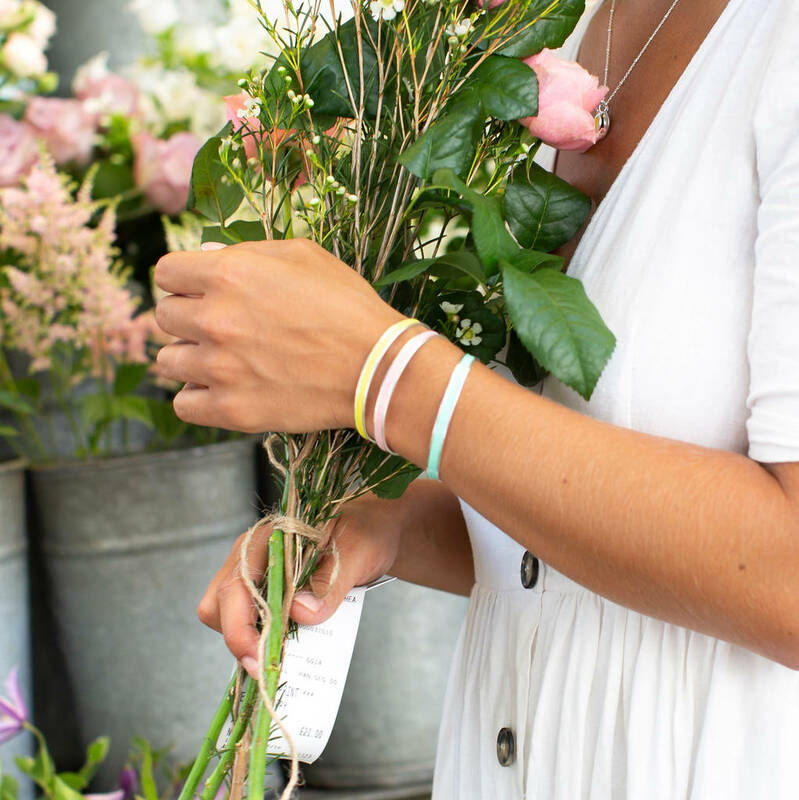 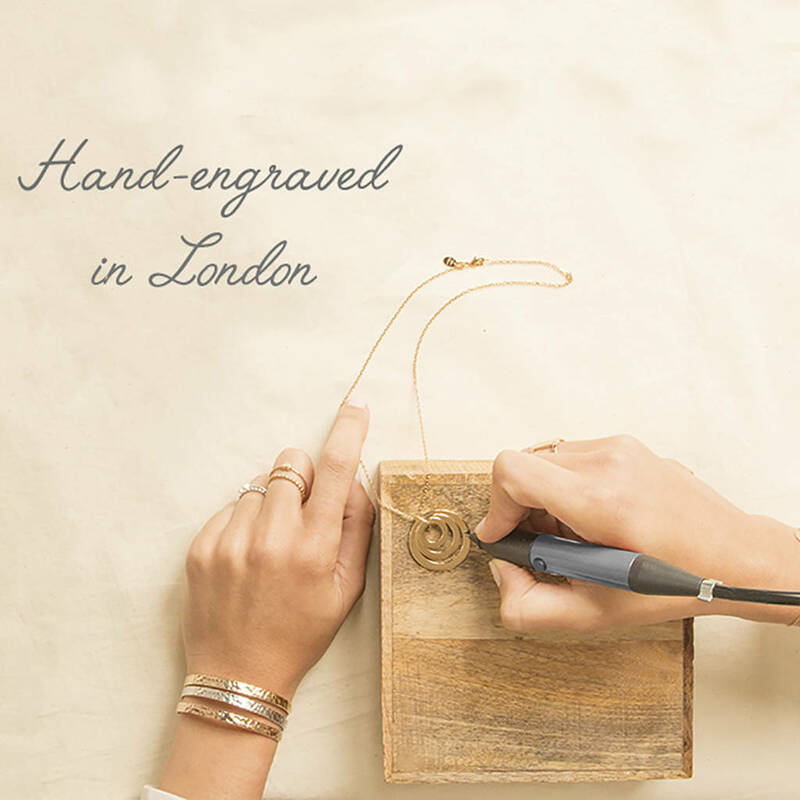 We will hand engrave up to 40 characters on the inside of your bangle, perfect for names, dates, or a secret message to your special someone. 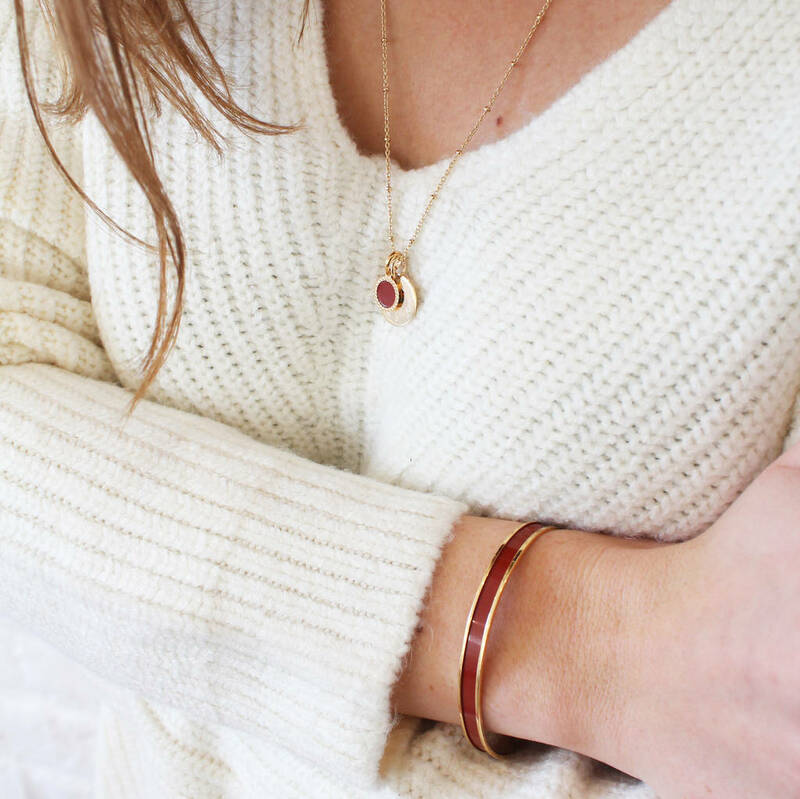 This product is dispatched to you by Merci Maman.